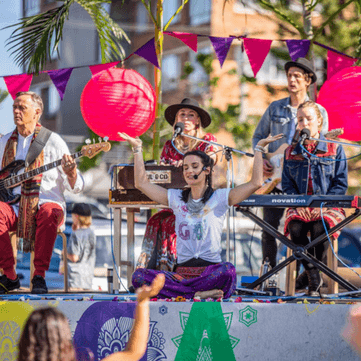 To celebrate International Day of Yoga, the kirtan band Ashraya will be joining the festivities in Darwin. On their second tour to the Top End, they bring their world grooves and mellow sounds with beautiful ancient mantras that soothe the soul’s inner-most needs. Ashraya is a Sanskrit word meaning shelter. In the beautiful, heartwarming mantras sung in kirtan, we find our shelter from the storms of life. They have performed at a number of locations including the MindBodySpirit festival recently in Sydney and with Hindu Balinese community in the north east region of Bali. 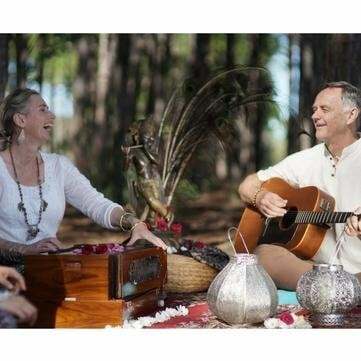 The band members are all long term practitioners of Bhakti Yoga in the Vaisnava tradition. Their passion is share the joy that kirtan and the deeper spiritual aspect of yoga bring to others regardless of their backgrounds. They have been inspired to share the yoga wisdom and teachings so that others may apply these in their own lives to optimise their whole well being. You can also catch Ashraya performing regularly on the Gold Coast at the Mantra Room in Burleigh Heads. What Does Yoga Have to Do with Hinduism?